According to the Arapahoe County Sheriff's Office, a juvenile male tried to hold up a gas station, but was shot instead by the clerk. CENTENNIAL, Colo. — A would-be gas station robber ended up at Children's Hospital after being shot by the store's clerk early Saturday morning, law enforcement said. 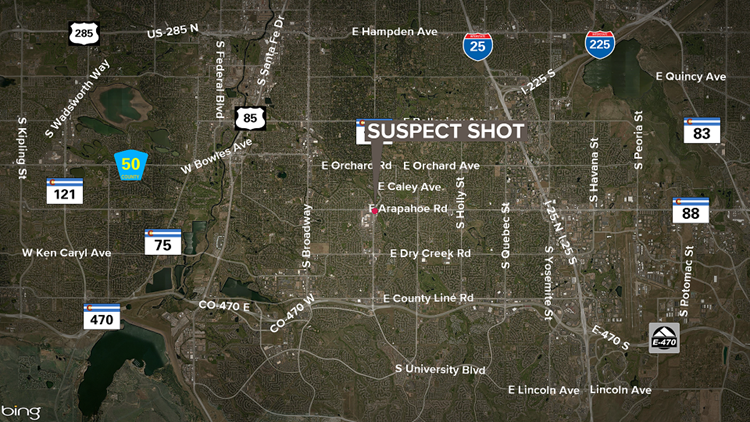 According to the Arapahoe County Sheriff's Office, a juvenile male ran into the Shell station on the corner of East Arapahoe Road and South University Boulevard just before 6 a.m. The juvenile had a gun and tried to hold up the gas station. In response, a clerk at the Shell pulled out a gun and shot the would-be robber, the Sheriff's Office said. The clerk was unhurt. The suspect was taken to Children's Hospital.